The Greek fortress of San Basilio, Lentini, Sicily. 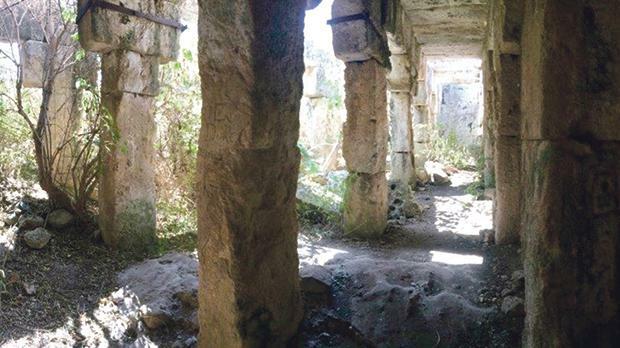 Italo Giordano, a specialised archaeological guide in Sicily, will be giving a lecture entitled ‘Controlling territory: the Greek fortress of San Basilio near Lentini, Sicily’ today. North of the Greek colony of Leontinoi and on the southern edge of its ancient chora, today’s Piana di Catania, rises a hilly ridge from which the hill of Colle San Basilio stands out. The most ancient human traces of the site seem to date back to the Early Bronze Age (first half of the second millennium BC) and human occupation is recorded until the medieval period (13th century) in alternate periods. Its major development seems to be attested during the third century BC when it became a military outpost, a phrourion, to control the vast territory of the Greek city. Inside the fortress there is a monumental hypogeal building with pillars, whose use, although not yet clarified, seems to find specific comparisons with numerous water cisterns distributed in the Mediterranean, then transformed into a church during the medieval period when the site was granted in emphyteusis to the Basilian Monks by King Roger II. The presentation is part of the Archaeological Society Malta’s lecture programme and will be held at 6pm at the National Museum of Archaeology, Republic Street, Valletta. For more information, visit www.archsoc.or.mt.